Feeding South Florida prides itself on transparency and efficiency. We understand that we are stewards of all donations entrusted to us and that donors have many options when choosing amongst the many wonderful nonprofit organizations who serve the community. To help ensure your donation will be handled with the utmost integrity, we are proud to share the following documents and standards to which we are held. Donor privacy is extremely important to us. Feeding South Florida will not trade, share or sell a donor’s personal information with anyone else, nor send donor mailings on behalf of other organizations. USE: Feeding South Florida respects the privacy of information and protects the privacy of our visitors. We only gather personally identifiable data, such as names, addresses, zip/postal codes, e-mail addresses, etc. when voluntarily submitted by a donor. For example, personally identifiable information may be collected in order to complete a donation transaction or a volunteer application. OPT-OUT: Donors may opt-out of having their personal information used by Feeding South Florida to send promotional correspondence or information to the donor, by emailing us here, or by checking the appropriate box on the on-line form, once sent. SECURITY: Our site has industry standard security measures in place to protect the loss, misuse, and alteration of the information under our control. Because we care about the safety and security of your online transactions, we use high-grade encryption and the https security protocol which is the industry standard security protocol. In the event you’d like to remove your name from any publications, or remove your information from our mailing list, please contact our Donor Relations Manager, Nataly R. Perez, at 954.518.1818 x 25 or nperez@feedingsouthflorida.org. 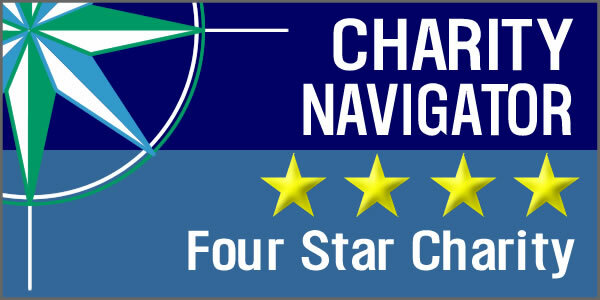 We have a 98% efficiency rating as a four-star charity. As a Feeding America food bank, we also comply with the BBB Wise Giving Alliance 20 Standards for Charity Accountability. Recognized as AIB Compliant, an annual audit process used by food industry clients around the world - considered some of the highest standards in food safety.